The LibX Core Package comes with a Process COinS LibApp that finds COinsS on the page and adds a cue on that page pointing to that COinS resource. Figure 1a shows that the LibApp displays a cue next to a resource when the COinS are given. 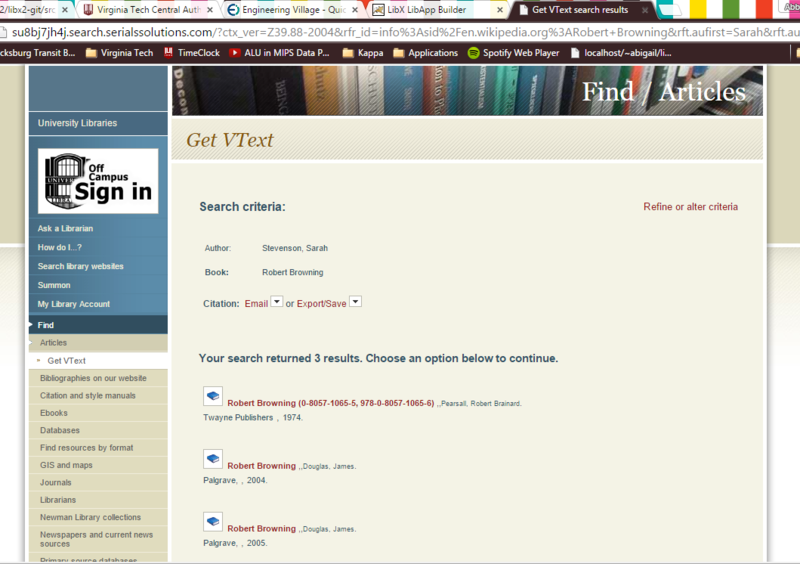 When the user clicks on the cue, the user is led to a catalog’s search result page (in this example, the search catalog is Summon) for that particular resource, as shown in Figure 1b. Click here for a demo on how to use the Process COinS LibApp! 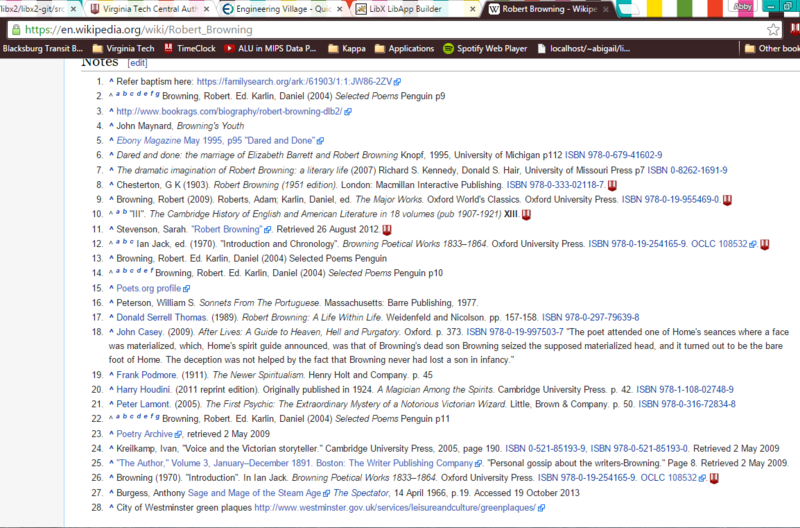 This LibApp is often found displayed in Wikipedia pages, but it works on any page that uses COinS.